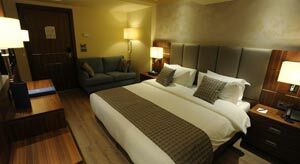 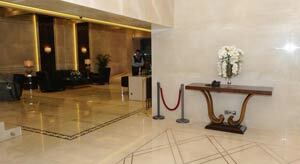 Hotel Gems is located in the famous Hamra distrcit. 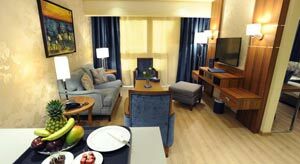 Only 5 minutes walking distance from the American Univeristy and Hospital of Beirut (AUH & AUB). 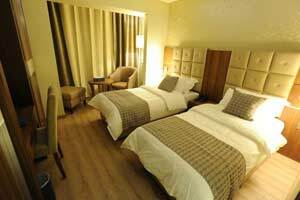 Beirut International Airport and Beirut Central district are 10 minutes by car. 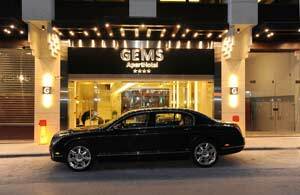 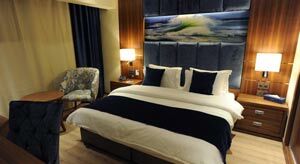 Hotel Gems is a boutique hotel that features 86 rooms and suites. 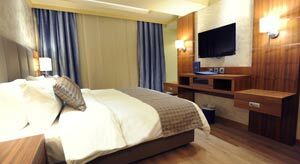 Modern, cozy and recently inaugurated, Gems Hotel offers all the facilities and comfort whether you are a short or a long stayer. 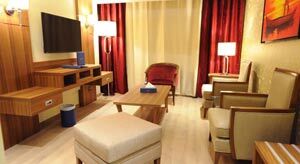 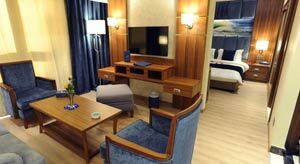 All rooms and suites are equipped with a kitchenette, fridge and microwave, in addition to other facilities. 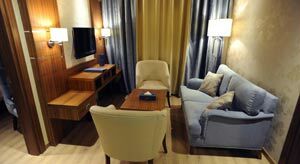 Suites are spacious, elegantly frunished and can easily accommodated from 2 to 4 persons.